Food tours crafted with love in Mexico City. We connect you with Mexico City on a deeper level, by tasting and learning about the food that most residents eat and are proud to share. 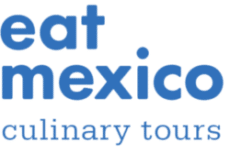 Food tours crafted with love in Puebla! For an inside look at another complex food scene, we travel to Puebla, where you’ll learn there’s more to this city than mole. On our tours we’ll show you where to find the city’s best food and how to order it, and you’ll learn the stories of the people who make it. You’ll finish our tours with an entirely new perspective on Cancún.